Show your intended and the whole wide world that your love for her is endless, with this wedding band from Ritani! Crafted in 14kt white gold, a radiant row of diamonds will circle her finger in fine fashion. The piece is also available in 18kt white, yellow and rose gold, as well as platinum. 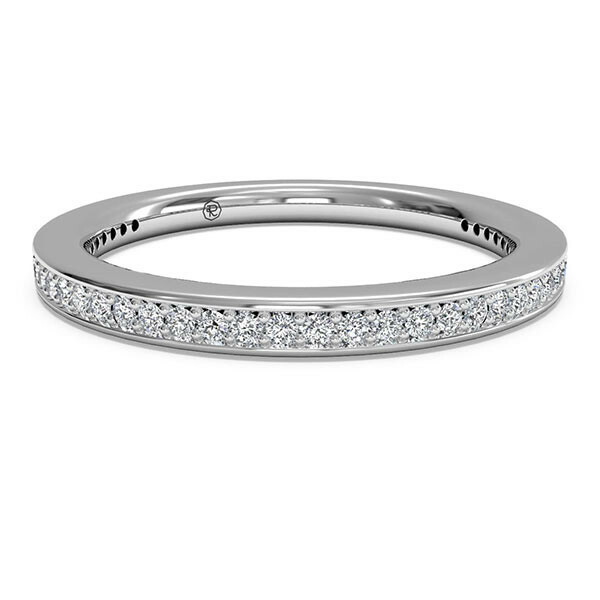 This Ritani wedding band has beauty and brilliance.